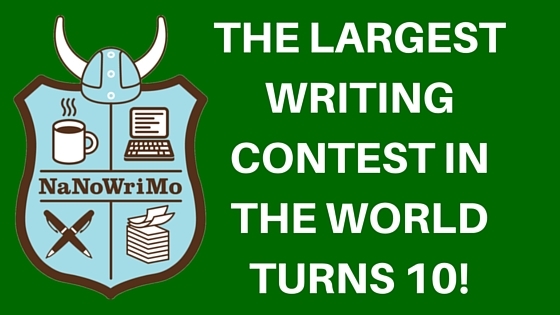 #NaNoWriMo: The Largest Writing Contest in the World Turns 10! 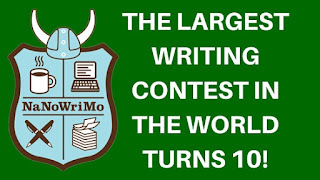 "NATIONAL NOVEL WRITING MONTH:THE LARGEST WRITING CONTEST IN THE WORLD TURNS 10! Welcome to National Novel Writing Month: a nonprofit literary crusade that encourages aspiring novelists all over the world to write a 50,000-word novel in a month. At midnight on Nov. 1, more than 100,000 writers from over 80 countries – poised over laptops and pads of paper, fingers itching and minds racing with plots and characters – will begin a furious adventure in fiction. By 11:59 PM on Nov. 30, tens of thousands of them will be novelists. 2008 is the ten-year anniversary of NaNoWriMo, founded in 1999 by freelance writer Chris Baty. In its first year, NaNoWriMo had just 21 participants. In 2007, over 100,000 people took part in the free challenge, making it the largest writing contest in the world. And while the event stresses fun and creative exploration over publication, 24 NaNoWriMo novelists have had their NaNo-novels published, including Sarah Gruen, whose New York Times #1 Best Seller, Water for Elephants began as a NaNoWriMo novel. So if not for fame or fortune, why do people do it? "The 50,000-word challenge has a wonderful way of opening up your imagination and unleashing creative potential like nothing else," says NaNoWriMo Director (and nine-time NaNoWriMo winner) Chris Baty. "When you write for quantity instead of quality, you end up getting both. Also, it's a great excuse for not doing any dishes for a month." Founded by: Freelance writer Chris Baty and 20 other overcaffeinated yahoos in 1999. Now run by: The Office of Letters and Light, an august 501(c)(3) nonprofit based in Oakland. Number of words officially logged by participants during the 2007 event: 1,187,931,929"
You're providing a great service for writers of every ilk. Thank you! Thanks for the great info! Too Shy to Stop just featured a discussion with Pulitzer Prize-winning author Michael Cunningham as inspiration for NaNoWriMo. You can read the article here.